Kelly Williams-Bolar was sentenced to 10 days in jailfor tampering with records. Convicted felon Kelley Williams-Bolar is sitting in an Akron, Ohio, jail right now for trying to provide a better education and safer environment for her children. Years ago, Williams-Bolar took her daughters from Akron's public housing after their home was burglarized and placed them with their grandfather in Copley Township. Summit County prosecutors contend the move was all a ruse and the girls belonged in Akron Public Schools, not the Copley-Fairlawn district. Williams-Bolar and her father were indicted. She was convicted of tampering with records. This is the county's first-ever criminal indictment accusing a parent of theft and record tampering for usurping school residency requirements. Williams-Bolar maintains that her daughters resided in both residences and provided a power of attorney giving her father guardianship over the girls after the home invasion. 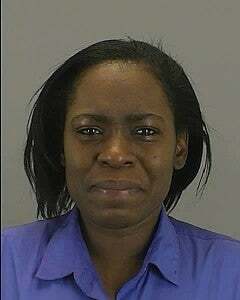 That wasn't enough, and Williams-Bolar was sentenced to 10 days in jail and now faces losing her job as a special-needs teaching assistant at Buchtel High School because of the felony conviction. Williams-Bolar, who is one semester shy of completing her education degree at the University of Akron, may also be kicked out of school. All of this because she sent her daughters to a school district where her father resides? Where are the girls now while she sits in jail? Living with their grandfather. According to Williams-Bolar, there were more than three dozen families who violated the rule, but she and her father were the only family to be prosecuted. She plans to appeal her conviction. We suppose a misdeameanor and probation would not have sufficed as a legitimate warning? Message received: "Don't send your hood children to our white school district with better funding, educational resources and safety provisions." Even so, separating from her children a woman who is trying to better herself and her family seems silly. If she had left her kids unattended in the projects to get hurt walking home from school, she would be a bad mother. She tried to do something about it by sending them to their grandfather's house and gets punished for it with a felony conviction. With all that's going on in Akron in terms of crime and blight, this is who they choose to prosecute? Disappointing and absurd, to say the least. In other news: Birds Like Me: Daily Show Profiles Neglected Black Town.